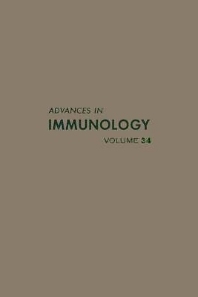 The selection of subjects presented in this volume reflects the broad scope of immunologic interest. Most of the progress in the field depends upon elucidation of the genetic basis underlying the immune system’s structure and function, and three important genetic areas are represented. They include presentation of a new group of T cell alloantigens with many similarities to the immunoglobulin isotype markers for B cells, discussion of the recently recognized heterogeneity of Class I MHC antigens, and a review of the structure and function of human Ir genes. Additional areas of expanding interest are indicated by three reviews that derive in part from neighboring fields of science but deal with matters of considerable immunologic importance. These are a discussion of interferon, particularly as it relates to and influences immunologic events, a review of the acute phase response to injury which has many paraIlels to and interfaces with the immune response, and, finally, a description of the lectin receptor markers of immunocytes and the imaginative lectin technology that has contributed significantly to the identification of the various functionally heterogeneous lymphocyte populations.